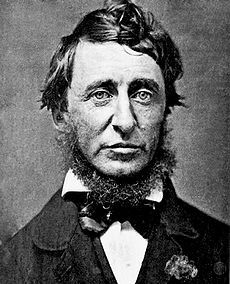 Henry David Thoreau’s (1817-1862) essay, “Wild Apples,” was published posthumously in the November, 1862 edition of The Atlantic Monthly. In it, Thoreau celebrated the history, beauty, fragrance, taste, and meanings of apples and apple trees – i.e., both regarding apples in general and wild apples in particular. His essay ended with a rueful lament suggesting that, owing to the rise of temperance and the grafted apple, the days of the wild apple were numbered. In fact, so much cider was drunk that colonial Americans probably ingested more alcohol from that beverage than from their much more potent rum. And even with the increased popularity of distilled spirits after 1800, the annual per capita consumption of hard cider was 15 or more gallons. It continued until the 1830s to account for a significant portion of all the alcohol Americans imbibed. Hard cider disappeared only after the leaders of the temperance movement succeeded in persuading farmers to cut down their apple trees. The era of the Wild Apple will soon be past. It is a fruit which will probably become extinct in New England. You may still wander through old orchards of native fruit of great extent, which for the most part went to the cider-mill, now all gone to decay. I have heard of an orchard in a distant town, on the side of a hill, where the apples rolled down and lay four feet deep against a wall on the lower side, and this the owner cut down for fear they should be made into cider. Since the temperance reform and the general introduction of grafted fruit, no native apple-trees, such as I see everywhere in deserted pastures, and where the woods have grown up around them, are set out. I fear that he who walks over these fields a century hence will not know the pleasure of knocking off wild apples. Ah, poor man, there are many pleasures which he will not know! Notwithstanding the prevalence of the Baldwin and the Porter, I doubt if so extensive orchards are set out to-day in my town as there were a century ago, when those vast straggling cider-orchards were planted, when men both ate and drank apples, when the pomace-heap was the only nursery, and trees cost nothing but the trouble of setting them out. Men could afford then to stick a tree by every wall-side and let it take its chances. 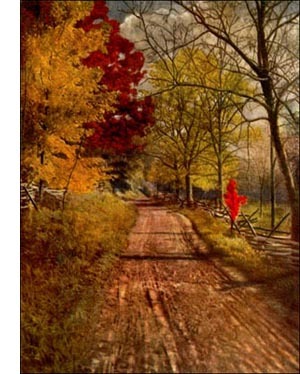 I see nobody planting trees to-day in such out-of-the-way places, along the lonely roads and lanes, and at the bottom of dells in the wood. Now that they have grafted trees, and pay a price for them, they collect them into a plat by their houses, and fence them in, — and the end of it all will be that we shall be compelled to look for our apples in a barrel. A bygone world echoed in Thoreau’s essay on wild apples. (1) According to Rorabaugh’s Table A1.1, U.S. per capita hard cider consumption fell from 18 gallons over the 18th century, to 17 gallons in 1800, to 16 gallons from 1805-1815, to 15 gallons from 1820-1830, to 8.5 gallons in 1835, and, finally, to two gallons in 1840. Thereafter, cider consumption fell below a reportable volume.